As we discussed in our previous post, SaaS marketing requires us marketers to take a slightly different approach to promoting products and services. And the tactics for organic are no different. We know that organic is a uniquely sustainable form of traffic generation and a key component of any SaaS marketing strategy. Plus, many of the SaaS marketing tactics you’ll use to generate organic traffic will complement and enhance other initiatives important to SaaS, such as sales enablement and customer success. In this way, you work toward achieving multiple goals with just one tactic. Focusing on organic traffic should be an important part of your overall SaaS marketing strategy, so let’s talk through how to boost those efforts. 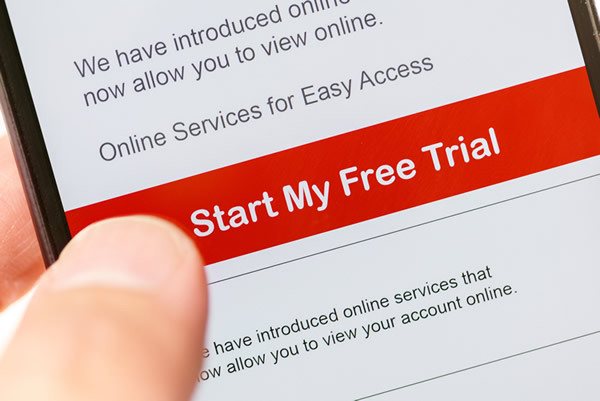 In the world of SaaS, free trials are key. These 7, 14, or 30 day-long limited (or all-access) passes to your products give customers a taste of what will make their business and processes better at a low monthly cost. So how does the organic channel play a role? Let’s walk through a real-world example. Decision makers at XYZ company don’t currently know your product even exists. What they do know are their current challenges and ongoing headaches. Your job in SaaS is to provide the strongest, easiest-to-swallow aspirin that will get rid of their headaches for good. In this scenario, figure out what keywords and phrases their future customers would use to resolve their challenges. Next, build out product pages, landing pages, blog posts and other content that will promote your product and its free trial. When you do this well, you don’t just attract more visitors, you generate a captive audience that is genuinely interested in understanding how their headaches will be cured. The idea with the pillar strategy is to focus on writing about certain topics (rather than keywords) in great depth and breadth. For example, if you sell a SaaS product that helps architects with information management, you might start by creating content about information management as it relates to an architect’s needs. You’d start with what’s called a “pillar” page, which is a high-level overview of information management in architecture. From that “pillar” page, you’ll cover everything without going into much detail and provide the extra detail with other content that is linked to the pillar page. 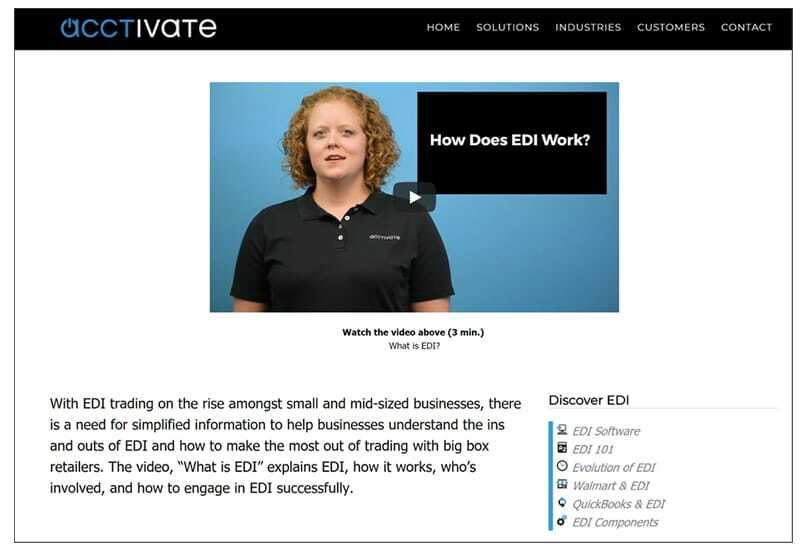 For example, Acctivate Inventory Software has a pillar page educating their audience about EDI basics. Since EDI can get complex, they broke out other supporting pages and linked to them (see “Discover EDI” section). By providing these cross-links on relevant, tangential topics, they provided a strong signal to Google that these pages are related to the pillar page. A great way to extend the value of your brand and SaaS products is by creating content that helps prospects and customers do their job better. Essentially, creating a knowledge base with common questions that customers and potential customers may have about the product’s features and integrations. While this may seem like the best approach for a mature SaaS company, creating content around your products and services can not only help boost long-term organic traffic but also provide a great self-service tool and sales resource. As any SaaS growth marketer can tell you, you’ll need a fresh perspective to cut through the noise in the ever-growing SaaS realm. Conceptually, these traffic-boosting tactics are comparable to standard marketing SEO tactics. But given that the sales cycle is short and getting visitors to sign up for your free trial is only half the game, there are other factors you must consider to get the most out of your organic SaaS marketing efforts. Creating content for SEO purposes dovetails extremely well with customer success efforts. This is why it is so important to look at boosting organic traffic within the context of your larger SaaS marketing strategy. You’ll find that you can create synergy between sales, marketing, and customer success all while investing in increasing your organic reach.